Don’t let mildew overtake your Winston-Salem building’s exterior. Give us a call, and we can blast it away with our siding pressure washing services. Is the outside of your building in Winston-Salem, North Carolina starting to look green? Don’t feel unhappy every time you walk outside and see it. Give us a call today at Steam Source, and we can schedule your siding pressure washing services very shortly. We can provide siding pressure washing for a variety of siding types, including aluminum, vinyl, concrete and even some wood siding. There is no job too big or small. The pressure is adjustable. We will evaluate your building and determine what pressure is necessary to give you the best results while protecting your siding. We have soft washing and heated pressure washing options available. Our work is warrantied. We provide a free 15-day warranty on all our services, including siding pressure washing. Our goal is your satisfaction. We are not going to hurry through your job to move on to the next one. 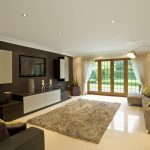 Our goal is always your satisfaction, and we will do the job right while we are there. 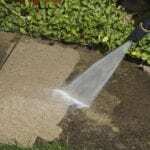 Beyond siding pressure washing, we can also pressure wash your decks, brick, gutters, patios, driveways, walkways, awnings, fencing, swimming pool surrounds, drive-thrus and dumpster pads. 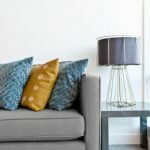 Our technicians are trained and experienced, and you can feel comfortable knowing we have all had background checks, driving checks and drug screening prior to being employed. We are fully insured and bonded. Give us a call today to schedule siding pressure washing at your home or business in Winston-Salem. 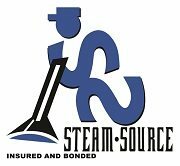 At Steam Source, we offer siding pressure washing services in Winston-Salem, Greensboro, Kernersville, Clemmons, Advance, High Point, Mocksville, Pfafftown, Jamestown, Oak Ridge, Summerfield, Lexington, King, Walkertown, Colfax, Lewisville, Welcome, Bermuda Run, Thomasville, Yadkinville, and Walnut Cove, North Carolina.